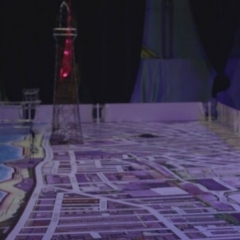 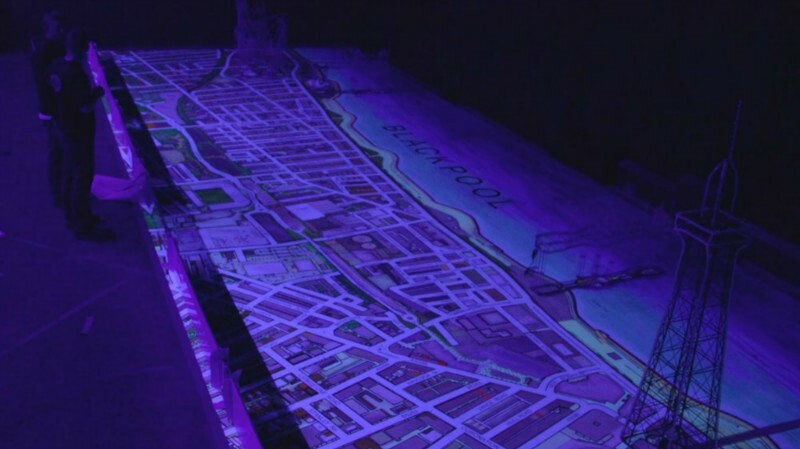 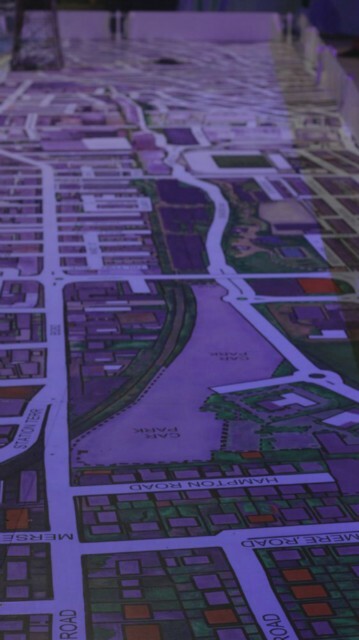 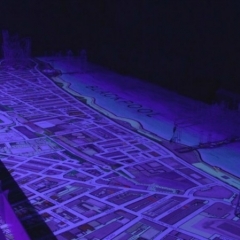 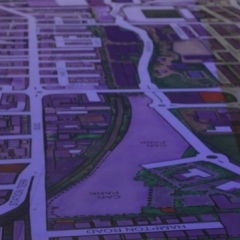 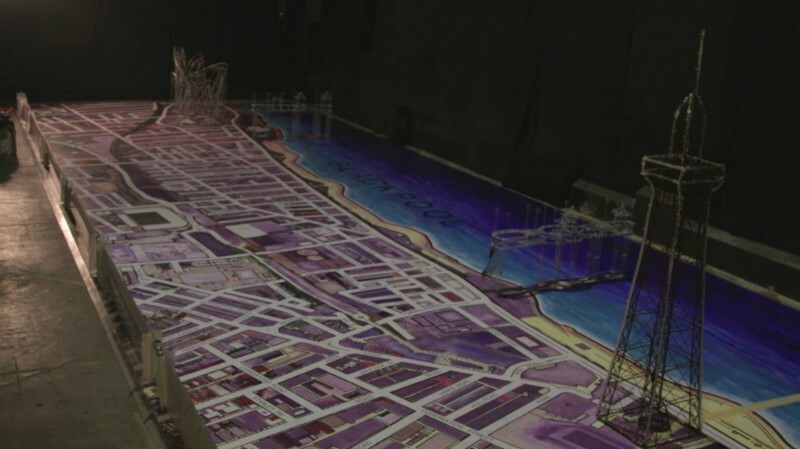 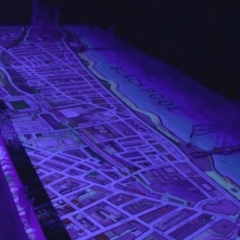 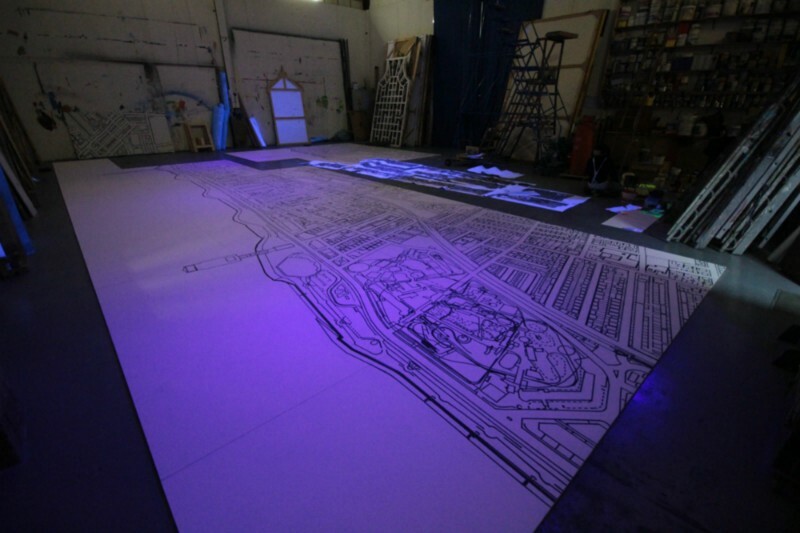 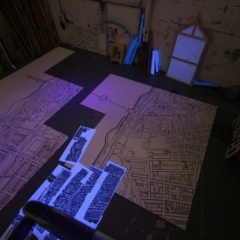 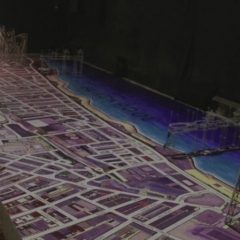 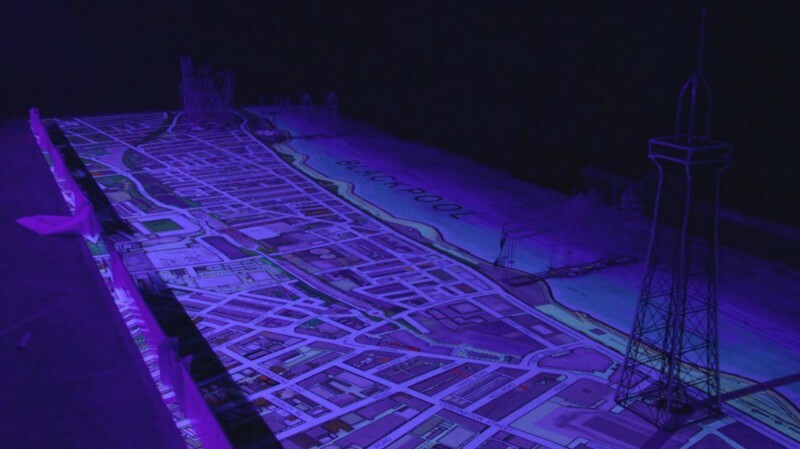 You have probably never seen such a large scale map 16 m x 5 m of the Blackpool Promenade and it is being painted with Ultra Violet paint! 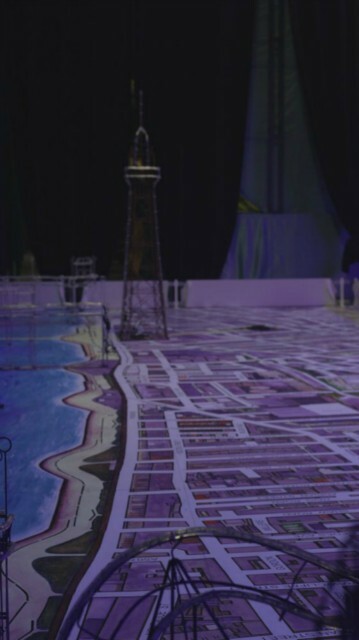 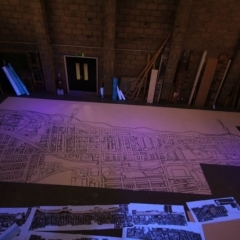 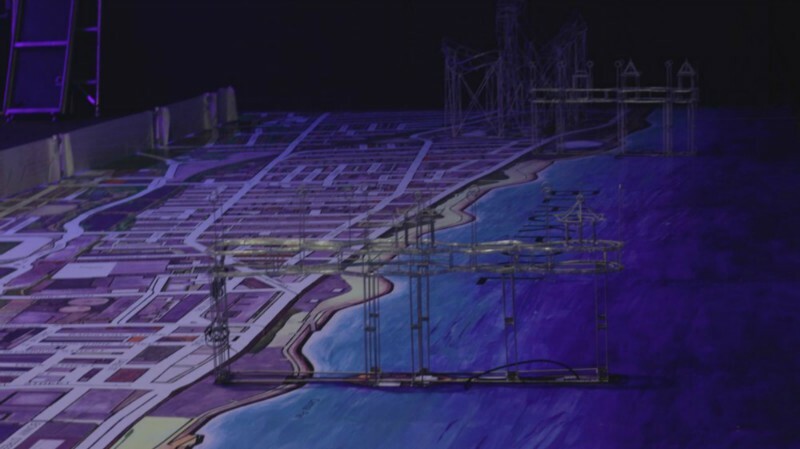 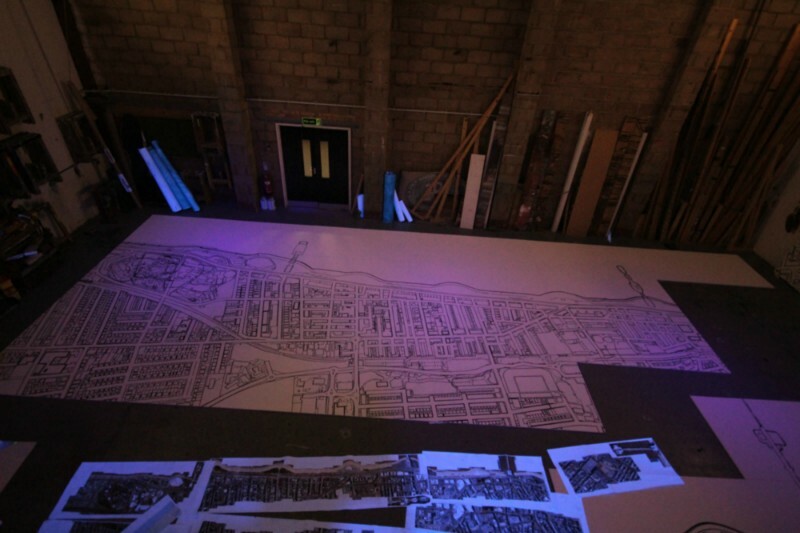 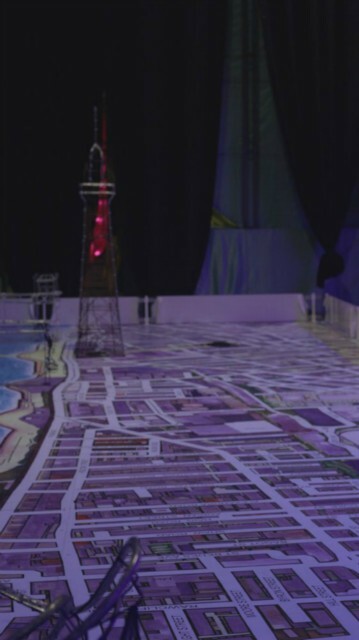 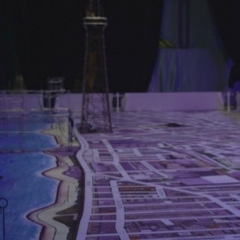 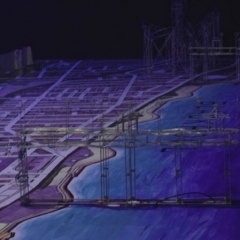 This giant map is work in progress and is to be featured in the newest attraction at the Blackpool Winter Gardens, Indoor Illuminations.Opening in April 2014. 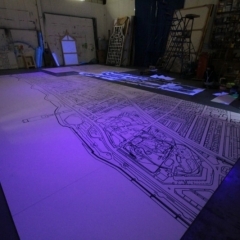 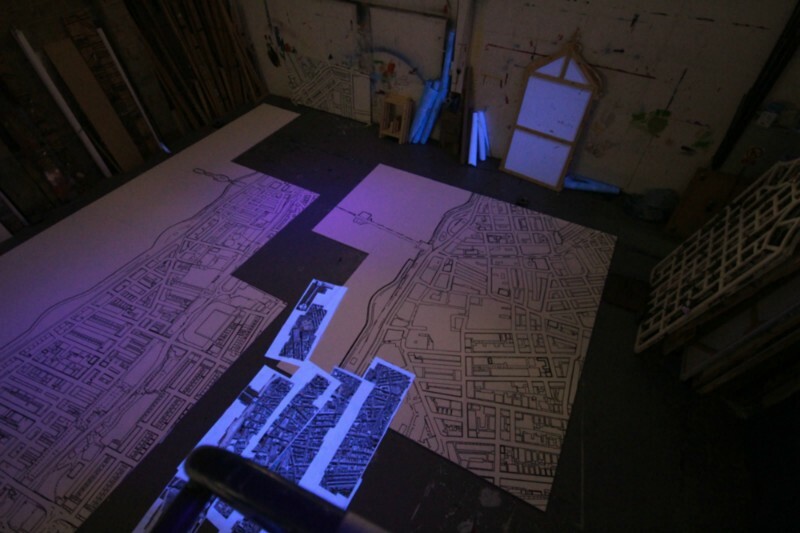 It will take our three talented scenic artists over three weeks of hard knee-breaking work to paint this floor map. A true record breaker!